Congratulations, Anita! 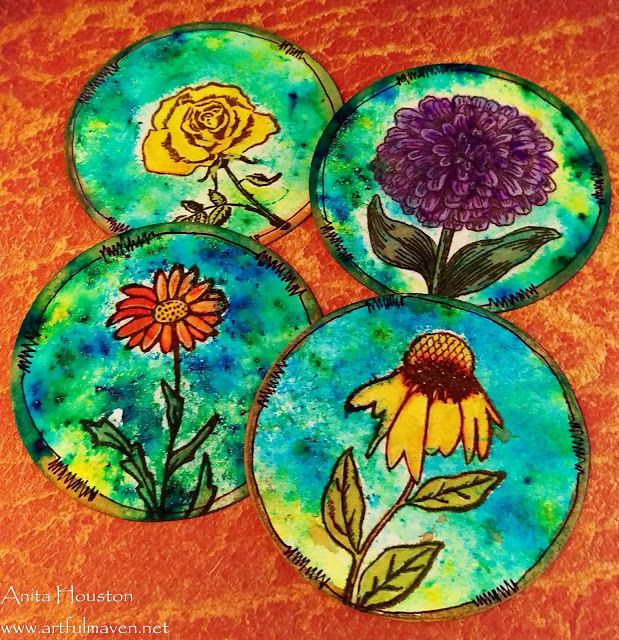 Not only do I love your Wendy flowers, but I'm digging how you paired them with Ken Oliver's Color Burst watercoloring powders. Lovely!! Anita, please contact me at kim@eclecticpaperie.com to claim your prize package! A big thank you to everyone who participated in this month's challenge. Get ready for the announcement of our next challenge, which will be announced on Thursday, July 2! WOO HOO...way to go chica! Thank you so very much!!!! LOVE all the Wendy goodness!! !